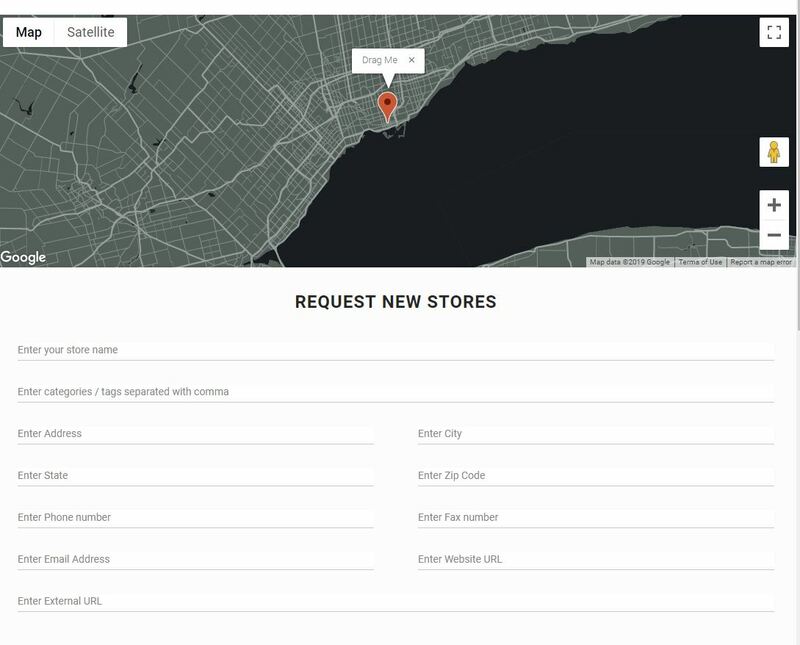 The map style and color will follow the style you’ve selected for your store locator map via settings. There’s a column called Status at admin store listing page, you can publish/unpublish multiple stores by selecting the checkboxes and then clicking the publish/unpublish icon. Alternatively, you can publish/unpublish a single store by clicking on the Status checkboxes. You can change all the captions and text labels from admin settings page. We’ve also added a number of translations for the Request Add Location form which the fields are compatible with WPML multi-language plugin. 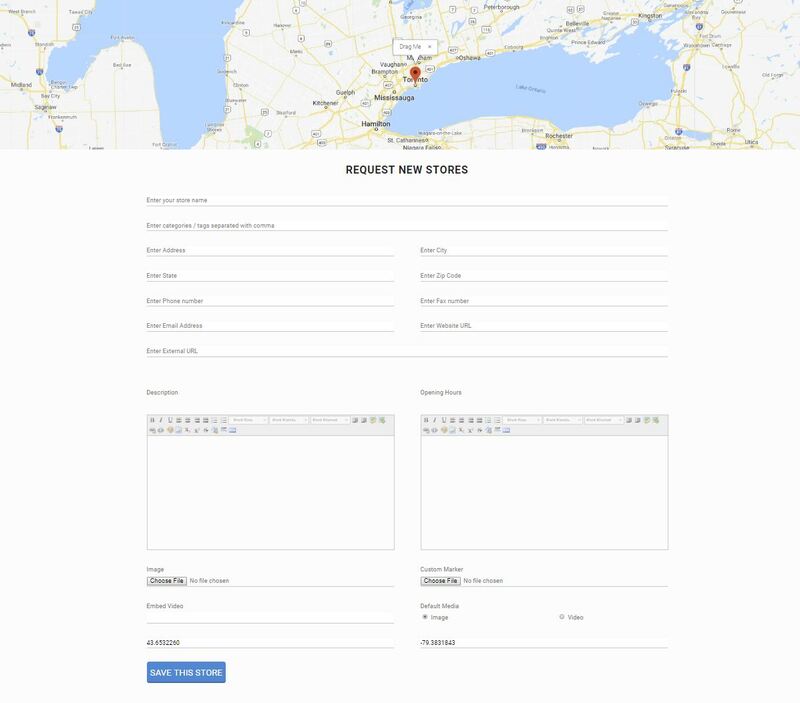 The map can be styled and customized, more details available in this user guide section here. You can also set default map pin location upon load from admin settings page, more details available in this user guide section here. Administrators can set contact form setting for the request add store submissions. b. Store’s Email – Contact button will appear, submitted form will be sent to store’s email. c. Setting’s Email – Contact button will appear, submitted form will be sent to admin setting’s email. Finally, you can set email notification subject and message whenever there’s a new store submission. All these captions supports WPML multi-language plugin translation.